Shakespeare knew a lot about sleep, especially insomnia. He often alluded to the fact that sleep is crucial to our wellbeing; a nourishing sleep is essential for restoring both body and mind. And while we sleep the brain sorts out our tangled thoughts and soothes us. In Shakespeare’s play, Macbeth, Lady Macbeth’s guilt about Duncan’s murder escalates to the point that she can no longer sleep. Hallucinations and nightmares haunt her, she obsessively washes her hands, becomes irrational, rants, raves, cannot bear to be alone and sleepwalks. Quite some time ago I purchased a new bed frame and mattress that was known as the Kabuki Package. It was all sharp lines, black metal, very chic and it looked terrific in my apartment. I was delighted with it – until I tried sleeping on it. I then discovered that the mattress was decidedly uncomfortable, and way too short for the bed. To make matters worse there was nothing at the end of the bed frame to stop the mattress sliding down. The absconding mattress meant that that at approximately 3am, my pillow would slip through the substantial gap at the top of the bed and disappear. Then if I got up to turn the light on, there was a good chance that I’d crack my shins on the protruding metal edges of the bed frame. After enduring a few nights of insomnia, I morphed into Lady Macbeth. And one night at about 4am, I got up, fixed myself a nightcap, sat down at my desk and fired off a letter to the manufacturer of the Kabuki Package. Unfortunately I broke the cardinal rule regarding angry/sleep deprived letters – I sent it off without allowing a cooling off period. I had to laugh when I got around to reading what I’d written. And things got even more surreal when I received the manufacturer’s reply. He came across as a decent bloke, who was under the impression that he was dealing with a madwoman. For not only had I bullet pointed what was wrong with the goddamned Kabuki Package, I’d also explained in great detail the psychological damage his bed was causing me and what needed to be done to fix a major design flaw. Furthermore, in closing I’d suggested that the root cause of Lady Macbeth’s affliction was that she too had undoubtedly experienced the Kabuki Package. Oh my. After it was all sorted out, I swore off letter writing in the midnight hours. Many hormones are hard at work during the night while we are sleeping, to make us fit for the next day. Sleeping is a highly active process. But irrationality in the midnight hours is quite common due to hormones secreted by the human body. The hormone Melatonin dilates the peripheral blood vessels and signals the body to go to sleep. But Melatonin also lowers mood, causes us to ruminate and fret and makes our problems seem overwhelming. Then miraculously – when the morning light reaches our retina – Melatonin is suppressed and we wake up. Cortisol, known as a stress hormone, also enters the fray at about 3am and gets to work preparing us to wake up. So if we are already stressed the body releases even more Cortisol which keeps us awake and we miss out on our restorative sleep. I’ve always admired the way the average domestic cat nods off so easily and never passes up the opportunity for a quick kip. Perhaps this is the reason cats are very content with life most of the time? 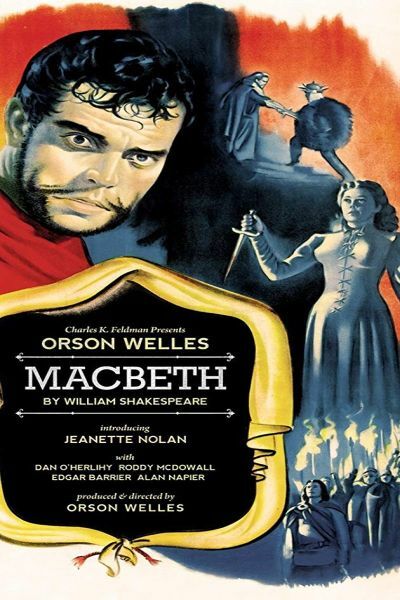 Photograph: Film poster, Mercury Productions ‘Macbeth’ 1948. Directed by and starring Orson Welles.